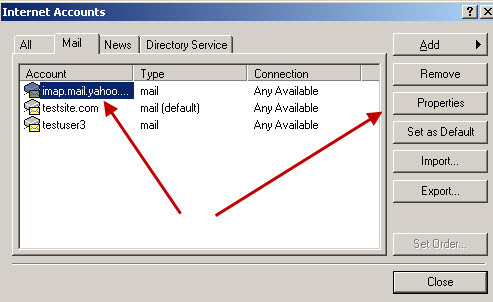 Although many people access Yahoo Mail using a web browser there are also many who prefer to use a desktop email client like Windows Live mail. 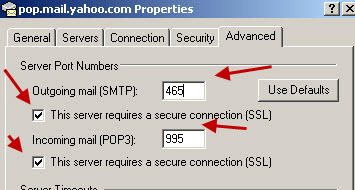 Because Yahoo Mail allows access using the standard protocols POP3 and IMAP4, you can access your Yahoo Email using most desktop clients like Windows live mail. Using POP3 or IMAP4 ? 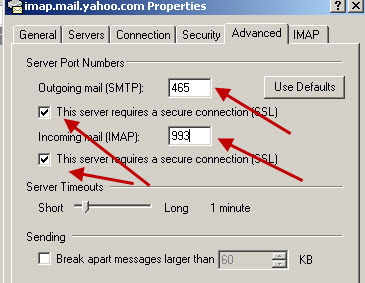 IMAP4 is the preferred choice because it leaves email on the Yahoo mail server which means that they can be accessed by other devices e.g. your mobile phone. 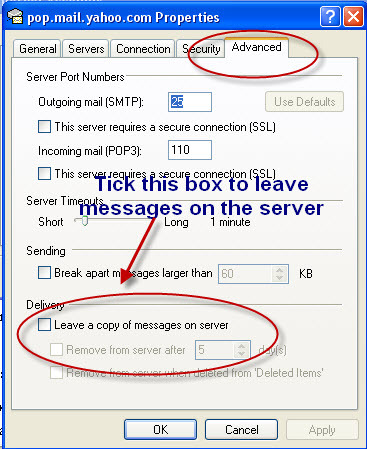 Check the This server requires a secure connection for both SMTP and IMAP4 and change the port numbers to the settings shown earlier. 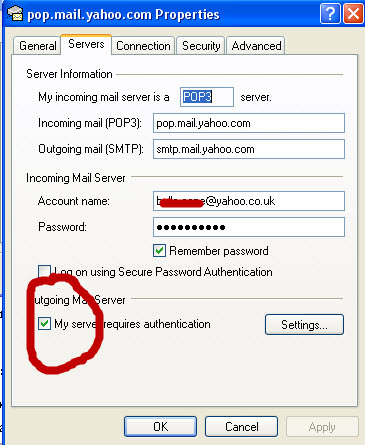 Before you connect Windows live mail to your yahoo mailbox you should be aware that the default behaviour of the POP3 protocol is to move the messages from your email server (yahoo mailbox) to your email client. 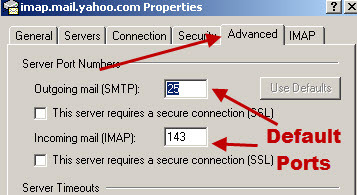 If you leave the client set for this then after you connect Windows live mail to your Yahoo mailbox the email will no longer be visible when you connect to your yahoo mailbox with your web browser. If you want the email to be available to both Windows live mail client and the standard web browser then you need to leave a copy of the email on the server. You find this settings under the advanced tab. I recommend that you set up your client before you enable access to your yahoo email. Done: Now you should be able to send and receive email using Windows live mail and your Yahoo email address/account. 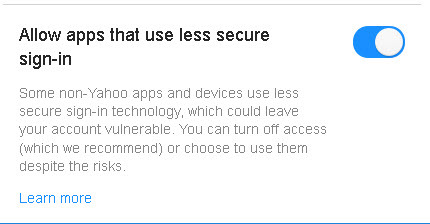 When accessing your Yahoo mail account using a web browser you may get a nag screen about less secure clients accessing your account. You can change this setting by logging into your Yahoo mail account and go to Settings (gear icon) and select Account info. A new browser tab opens and you can find the setting under Account settings and Account Security. Click on the toggle switch to enable or disable the setting. The Port numbers are correct. Q- I use Dropbox when sending large attachments with Yahoo Mail can I still do that when using Windows Live mail? A- Yes you can. You can use any file sharing service e.g. Dropbox, Google drive etc but you will need to create the links manually. Q- I need access to my Yahoo mail from my phone can I access it on my PC and mobile phone? Q- Does Windows Live Mail support POP? IMAP? SMTP authentication? 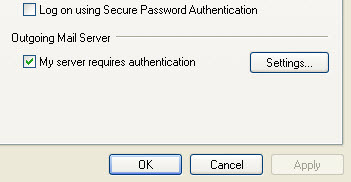 A- Yes it supports POP3 and IMAP, and SMTP authentication. Q- Is Yahoo Mail POP3 or IMAP? 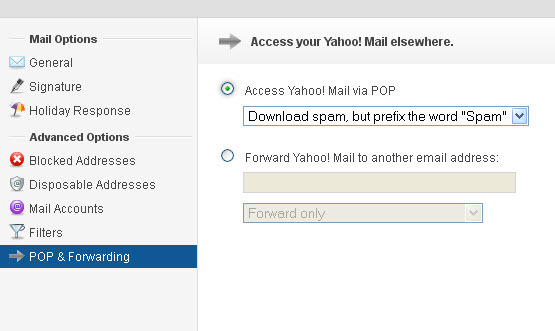 A- Yahoo Mail supports access using both protocols. 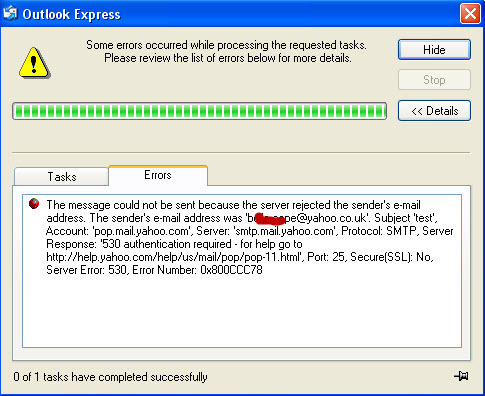 Q- Does Yahoo consider Windows live mail a less secure client?